This hair scissor combo is ready to compete with its more expensive counterparts. Dependable performance is what this shear set is all about. This hair scissor combo is ready to compete with its more expensive counterparts. This Fusion shear has custom inside edge work for precision cutting. Anatomically designed handle for comfort and narrower blades for excellent maneuverability. The 30 tooth thinner is for blending and line removal and the 16Tooth texture shear will remove weight and create lift for more volume. Forged from high quality 440C Japanese steel for a long-lasting edge. 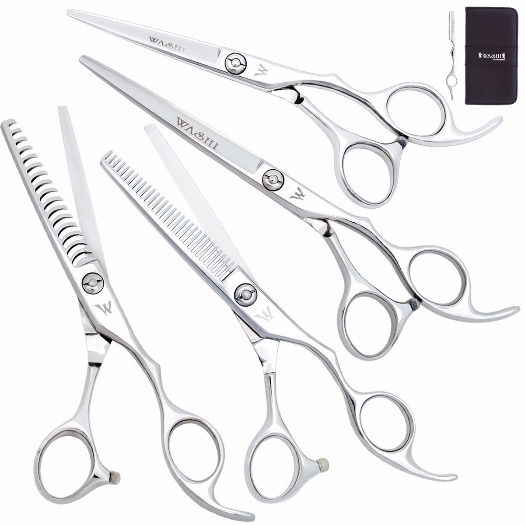 This shear set will let you perform most of your favorite styling techniques.